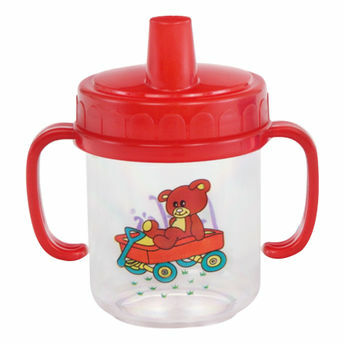 Make feeding fun and fuss free with Little's Non Spill Magic cup. These feeding cups come with a unique one-way silicone valve that prevents spillage and leakage and can be used to feed your baby juices, milk and much more without any leakage. It is made from Printed Polycarbonate (PC) Material that can be sterilized by boiling. Unique one-way silicone valve that prevents spillage and leakage. Comes with a valve that helps your child to regulate the flow of liquid to the mouth. Made from printed polycarbonate or food grade polypropylene material. Helps in improving coordination between hands and mouth. Can be sterilized by boiling. Available in various colors and prints.